While techniques to optimise open pit mining operations are well advanced, the greater complexity of the underground mining environment requires more than the deterministic optimisation approach most commonly used to date. 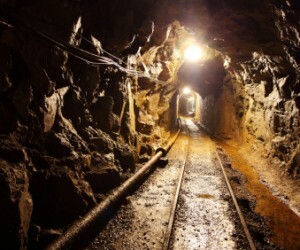 According to Professor Cuthbert Musingwini, head of Wits University's School of Mining Engineering, it is widely acknowledged that underground mines frequently fail to achieve delivery results in line with their operational plans. Delivering his inaugural address as the new president of the South African Institute of Mining and Metallurgy (SAIMM), Professor Musingwini said that most optimisation problems in underground mine planning do not perfectly fit exact algorithms and are therefore best solved using heuristic - or approximate - approaches. 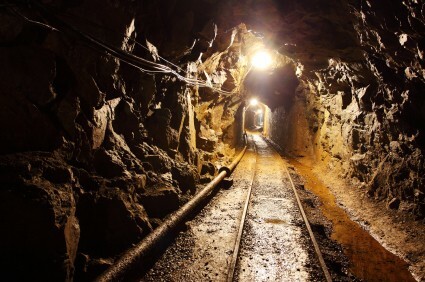 "Optimisation in underground mine planning is computationally more complex, because there are numerous permutations of the direction of mining, such as advance or retreat mining, depending on the mining method chosen," he said. "There is also a circular logic in underground mine optimisation which is compounded by geological, technical and economic uncertainty." He paid tribute to the pioneering work of Helmut Lerchs and Ingo Grossmann, who developed the procedure for finding the optimum design for an open pit mine - widely known as the Lerchs-Grossmann or LG algorithm - but highlighted its limitations. "The inherent assumption in the LG algorithm is that block economic values are known with certainty," said Professor Musingwini. "However, in the real mining environment, geological, technical, and economic parameters are never known with certainty, and they also change over time due to improved understanding of an operation." What was therefore required was a stochastic - or probabilistic - approach that would encompass a universe of possibilities rather than a single exact outcome. "To address uncertainty, optimisation algorithms have been extended to their stochastic variants," he said. "For example, the work of Whittle et al extended the deterministic pit optimisation approach to generate probability pits with probabilities attached to each pit limit. "In this way, it is possible to proactively locate infrastructure outside limits that could eventually become part of the pit configuration should conditions change, thus improving the confidence level of the planning. A similar approach can be extended to optimisation of stope envelopes in underground mine planning." He also addressed the problem of circular logic in underground mine optimisation, which pointed to the need for heuristic algorithms. "The objective of optimisation is to maximise the net present value (NPV) of the mine design, but the development and stope layout with the maximum NPV cannot be determined until the production costs and associated cut-off grade are known," said Professor Musingwini. "In turn, the production costs and associated cut-off grade are not known until the mining layout and production scheduling have been determined. "Further, the mining layout and scheduling cannot be determined unless the production capacity and mining method are known. However, mining method selection is dependent on prior determination of production capacity." This circular logic made optimisation in underground mine planning computationally difficult, he said, so not much work had yet been done in this environment. Professor Musingwini has lectured at Wits University since 2004, being awarded the Faculty of Engineering and the Built Environment (FEBE) Most Improved Researcher award in 2010. He became the first black full professor of mining engineering in South Africa in 2014, and the country's first black National Research Foundation (NRF) rated researcher in mining engineering.